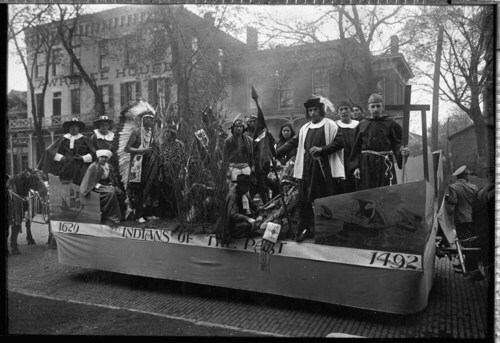 Parade float made by Haskell Institute students and titled Indians of the Past 1492 to 1620, Lawrence, Kansas. The students are posed on the float in period costume. Visible in the background is the Lawrence House.